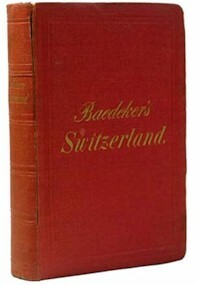 Editions on Switzerland in English. See also editions in German and in French. As with the French editions, Switzerland was the first series after The Rhine to appear in English. By 1863, when Switzerland 1 appeared, alpine tourism had already started, mainly in the form of climbing at this point (Edward Whymper made his famous climb of the Matterhorn/Cervin in 1865), but soon skiing would also become popular.